As part of its medical programme curriculum this year, the International Medical University (IMU) in Kuala Lumpur, Malaysia will begin integrating the United States Medical Licensing Examination (USMLE) preparation courses to help its students prepare for the US residency test. The course, which was launched last week, will prep IMU students for the USMLE – a set of qualifying examinations for medical graduates to practise in the US. This is to "elevate standards" of medical education in Malaysia and to prepare graduates for overseas studies and opportunities, MU School of Medicine dean Professor Dr. Kew Siang Tong said. 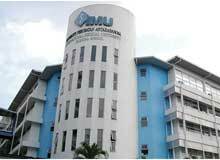 The move will benchmark the Malaysian medical education to American standards, he was quoted as saying. "The course is designed for the student to be critical and quick thinkers, with the ability to apply their knowledge in various situations. Thus, it will also boost their confidence in being better doctors." IMU is partnering with educational resource company Becker Professional Education. It will be the first of its kind in Malaysia to offer structured guidance for the USMLE. On fear that the move will possibly facilitate the funnel of Malaysian talent overseas and worsen the country's brain drain problem, IMU said it was "unfazed" by these claims. In a statement, it said had "no control" over the number of doctors leaving the country as well as emphasising that the USMLE integration is aimed at ensuring the quality of its graduates meet international standards. More than 300,000 Malaysians have left the country in the last decade, according to estimates by Johan Mahmood Merican, head of Talentcorp, a government agency established in 2011 to attract and retain talent in the country.